On my Twitter bio, I added the statement, "there is no cupcake bubble." The cupcake trend has transitioned from novelty or fad to being a food retail staple. Evidence of that are the cupcake venues at airports. Just Baked is at Detroit Metro Airport (DET). 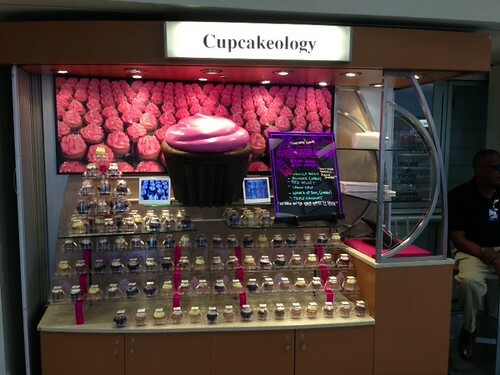 Baked By Melissa is at JFK in New York, CRUMBS at Newark (EWR) and now Cupcakeology just opened at Philadelphia (PHL) last week.